Both my Ma and my Pa do TTRAK modules so it ONLY makes sense that if I were to do some MA & PA modeling, I should do it on TTRAK modules too. 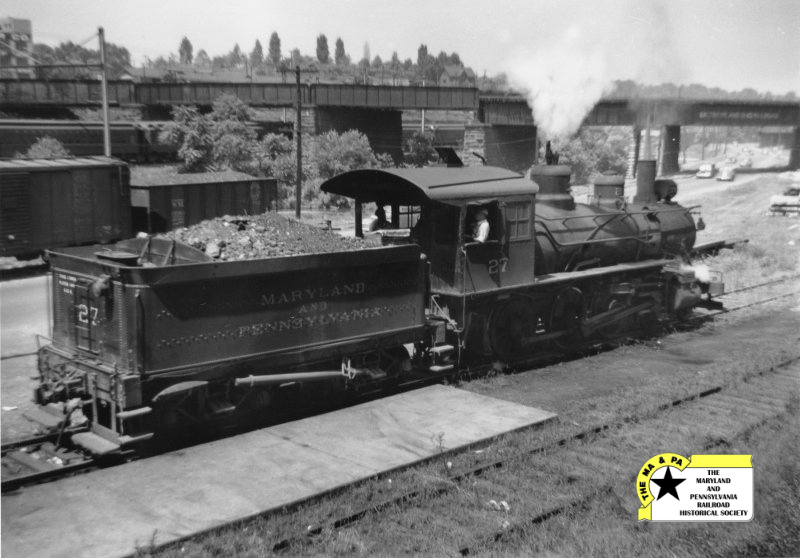 The Maryland and Pennsylvania is a storied shortline with a following far outsized to its size and importance. 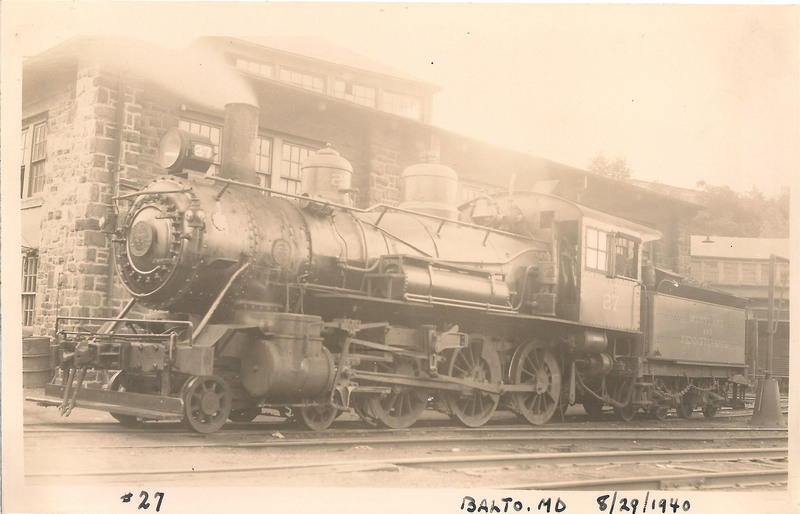 It was the second way to go from Baltimore to York (and back) and was a competitor to my beloved Northern Central with a very different character. 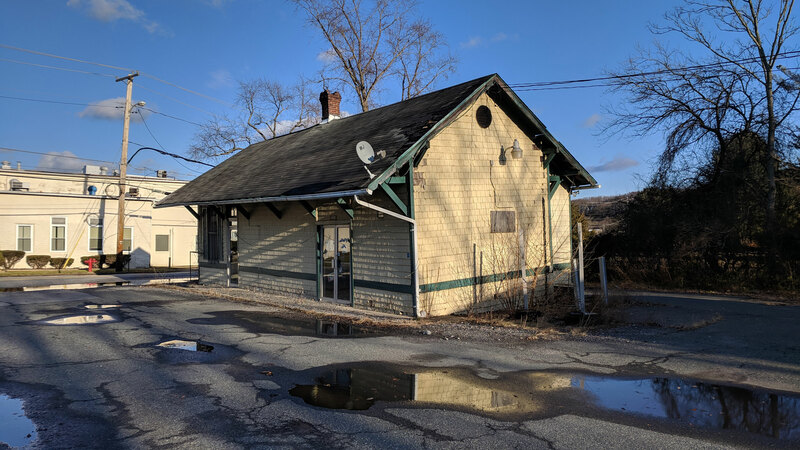 While the PRR turned the NCR into big time railroading, the MA&PA was always a sleepy little shortline that existed to serve its online communities but not much else. The coming of better roads in the area generally spelled the end for the railroad that was too pretty to live. 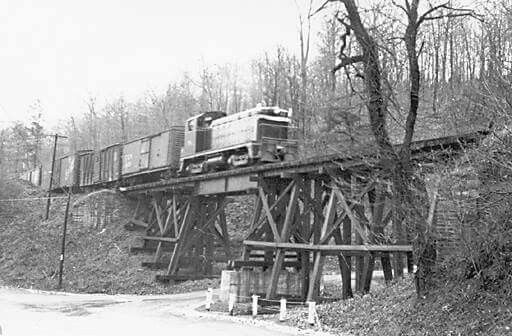 Its charm was its undoing (spending much of its time on cuts, fills and trestles). In the mid 50s service on the Maryland portion ended and the Pennsylvania portion has gradually shrunk since then as well. There's much more interesting history behind it, but I'll let you do your own Googling. Terri and my new house is on Cromwell Bridge Road in Towson, across the street from the former MA&PA right of way. You can see it in red here in this view out from office window. 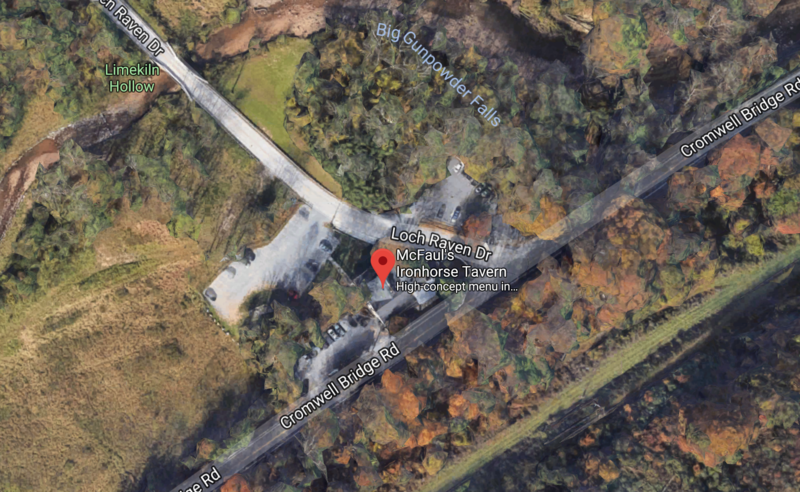 Additionally, our favorite restaurant, McFaul's Iron Horse Tavern, is right across the street from the line and pays quite a bit of homage to its history as a community store and MPA ticket office for the Loch Raven station. 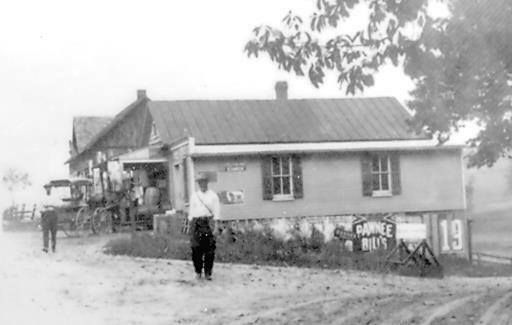 The restaurant back in nineteen diggity do. The "station" which was across the street and up the hill. And the location, that's the MPA RoW on the hill. So, of course, the MA&PA bug has bitten me. I'm not giving up my other pursuits, but this will be a fun little project. So, what am I planning on modeling? My goal is to capture the flavor of the MA&PA in my back yard. These are a few scenes that have captured my heart, all within a 10 minute drive of my place. 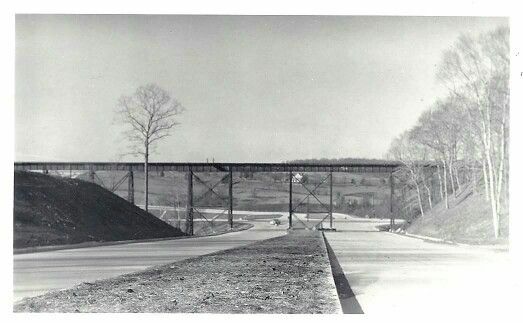 Satyr Hill trestle (over Satyr Hill Rd). I drive through this corner on my way to Home Depot, so... weekly at least. 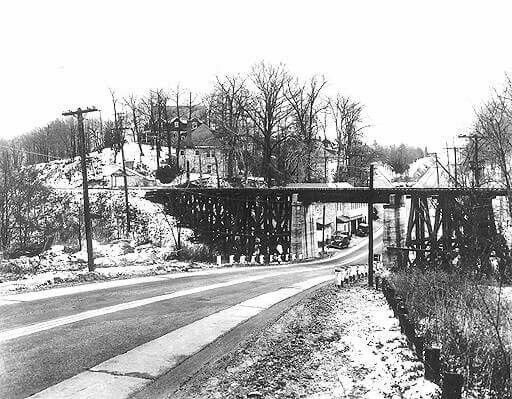 The trestle over Loch Raven Blvd. 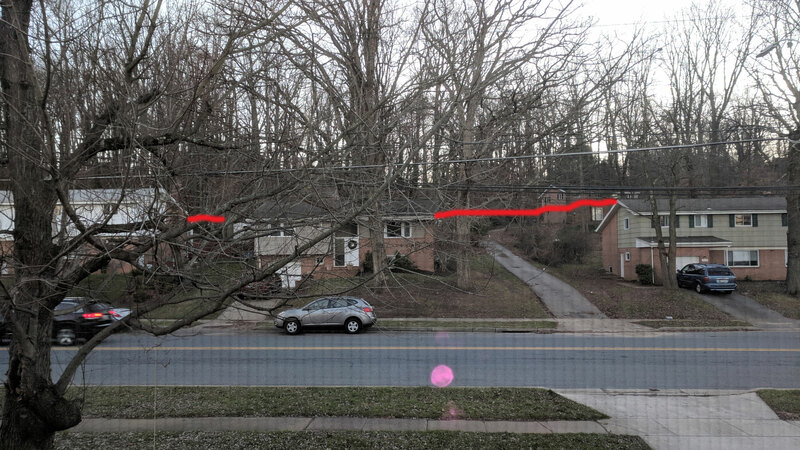 For anyone who came to visit my old place, you drove right through here. Here's the view up the valley. That's the MPA on the right. 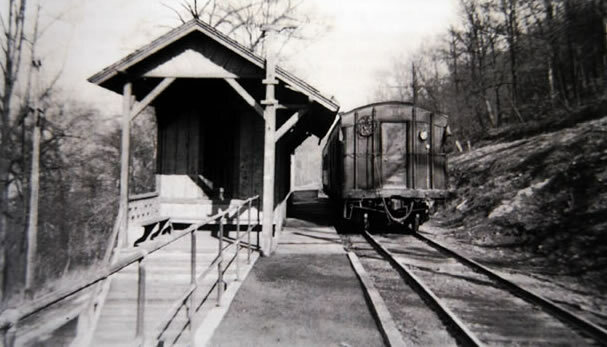 The still standing station in Glen Arm (again, literally right up the street about 10 minutes). 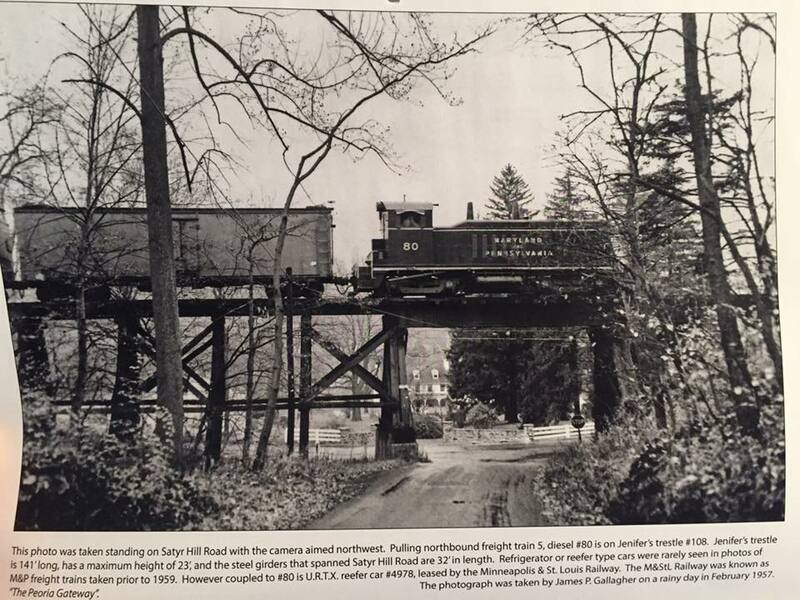 I challenge any red blooded railfan to not thing this is great stuff. First, here's the rough TTRAK plan. As you can see I take some liberties with the format: namely using a single track. However, the reversible purple junctions make it all work. As shown I can be a "bump" on a bigger layout. Flip them around and remove the blue compensator (heh heh heh) and I have a closed loop. Reverse one and I'm an end loop. Additionally, pieces can be added or removed to make it all work in different footprints. As for rolling stock, I'm aiming for the 40s. I'm thinking 1943. This allows me to do some fun stuff like work on some steam engines (which I've been wanting to do since I worked on the NTRAK Steam Annuals) and learn about a whole new world of freight cars. 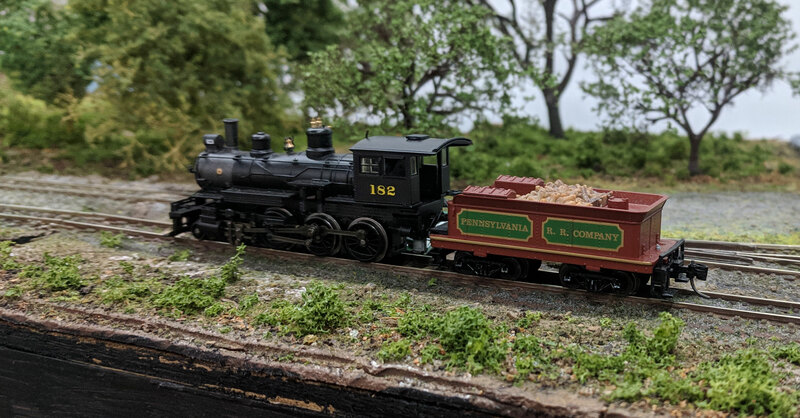 My first project is creating MA&PA #27, a slide valve equipped 4-6-0 using a Bachmann ten wheeler and a Minitrix tender (and lots of other work). Here she is mocked up. I'm also working on making a caboose using some 3D printed parts and custom sides. 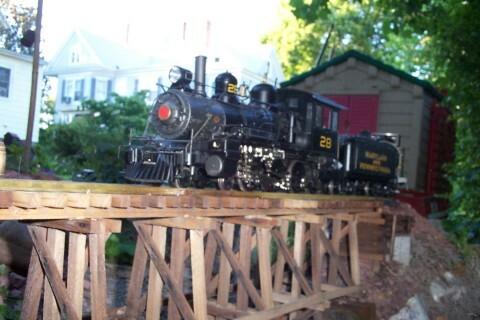 I did 29 for my garden railroad all those years ago. I love the concept of the loop. But seriously, you have more scale tangent track than the M&P had in real life! Damn that Unitrak! Also, you can probably work in a passing siding at Glen Arm, as I'm pretty sure there was one there. That would give you the ability to drop that set of modules into a smaller TTrak rig. So to separate the tracks like that, are you going to use extra-wide modules, or do they separate into parallel modules? 1) I'm actually really impressed at the way that Minitrix tender looks with the 4-6-0. As per our previous discussion, lowering that boiler will look better but re-assembling the valve gear on a Bachmann isn't fun. The topside of that tender will need a lot of work. 2) I really like the Satyr Hill Road scene...so typical M&PA. 3) Lee's right... Unitrack is a little rigid for what you're doing. If you're going to ditch the standard T-Trak format between the ends, why not jump into some Peco code 55 in the middle and make the geometry a little more M&PA-ish? It could still connect into Unitrack bits on the end pieces. I've spliced Atlas code 80 with Unitrack more than once and it's seamless...the Peco 55 should work just as well as the tie size and spacing is comparable to Unitrack. I have to say, this is the most exciting project I've seen since the guy doing the B&O in Harpers Ferry. And yours will be totally prototypical... a complete absence of on-line shippers! You mean the junction modules? They're the standard "double wide" size but are a little deeper. Yep, that's the inspiration for the bridge scene. That's not a bad idea. I may end up doing that.